Whether you enjoy indoor or outdoor activities there are plenty of things to do and activities to get involved with. There are activities and adventures for the whole family. 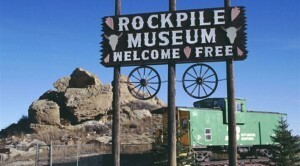 The Campbell County Rockpile Museum focuses on general, regional, and local history with an emphasis on the culture and people of Campbell County, Wyoming. Our mission is to serve the residents of Campbell County as a center for local history, while collecting, preserving, and interpreting this history through exhibits which are both accessible and understandable to visitors. Located in the heart of coal country in northeast Wyoming, visitors to the museum enjoy collections of rifles, saddles, Native American artifacts, fossils, quilts, and other memorabilia. 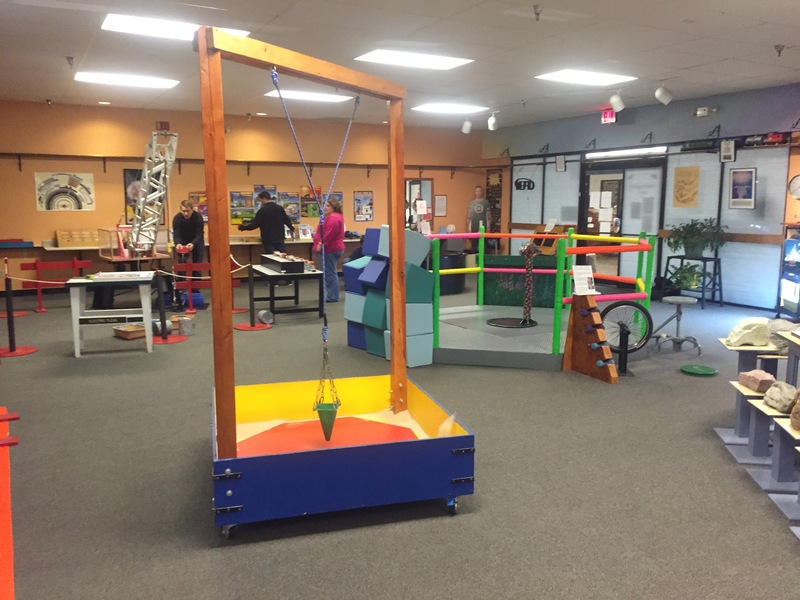 Along with our popular “dress-up” area for kids, there are many hands-on activities for children to engage in while touring the museum. Come watch a video tour of an excavation and blasting at a coal mine and then see how the coal is transported to various locations. The museum is comprised of two smaller gallery rooms- Kintz and Main- and the larger Campbell County Room which houses larger items, such as wagons and carriages, as well as changing exhibitions. Additionally, the gift shop is located in the Main Room. Permanent and changing exhibitions along with educational programming, performances, and events provide insight into the interesting past and present of the area. 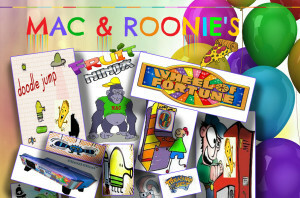 Mac & Roonies is a family owned and operated business. They opened their doors in October 2008. Since that time they have had a constant commitment of providing a very clean family - oriented entertainment experience to the Gillette community. 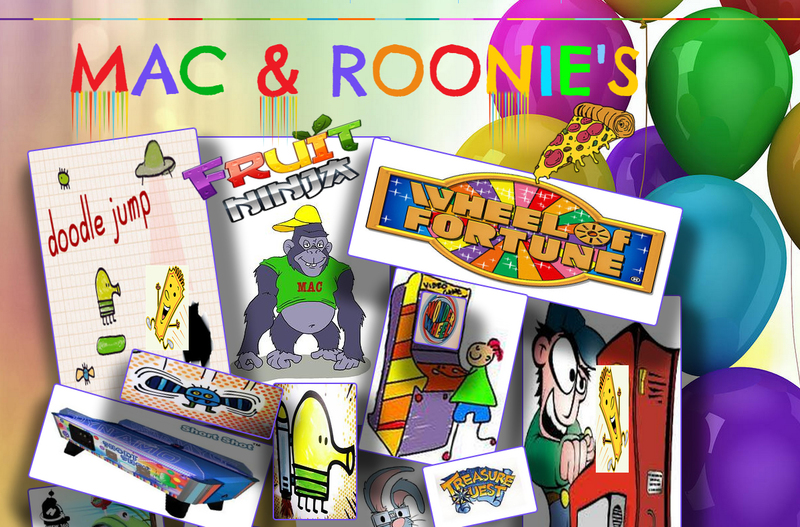 They offer a variety of 40 plus games for all ages, 2 party areas, continuously changing high quality prizes, several birthday party options to choose from and a great pizza & play deal. You are always welcome to bring your own food to Mac & Roonies. They will also customize your party package if none of our standard packages fit your needs. Not only are they a fantastic place to have your next birthday party, they also host Christmas parties, family reunions, going away parties and more! Although they are normally closed on Mondays, they will open for groups of 30 or more. The Campbell County School District Planetarium is one of Gillette’s most unique features. Come and see what’s up in the night sky at one of our free public shows. Rock out and be amazed by one of our many laser shows. If you don’t want anyone else around schedule a private show. Not even the sky is a limit here. We feature the first Goto Chronos II to be installed in the United States. 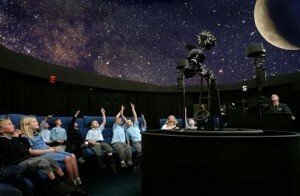 This star projector accurately shows over 8000 stars on our 30 foot diameter Nanoseam dome. With a point projected Milky Way and many deeps sky objects the Chronos II projects a total of over 3 million objects onto the dome. Many objects require the use of binoculars to view. The planetarium was built and is maintained by funds from Campbell County School District #1. Public shows are funded by Campbell County Rec Mill grants and the donations of community supporters. During the school year the planetarium is host to nearly every student in Campbell County and even serves schools and communities from as far as southern Montana. 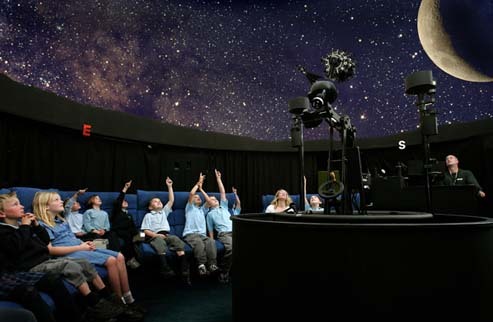 In addition to school shows the CCSD Planetarium is one of only a few planetariums in the world to offer free shows to the public. AVA Community Art Center is a non-profit organization dedicated to the promotion of the visual arts in our region. AVA’s mission is to build a better community by enriching lives through art. We have classes for children and adults, a gallery space for art exhibits and a gift shop. AVA is funded privately through donations, fundraisers and grants. We are pleased to announce that AVA won the Governor's Arts Award in 2013. 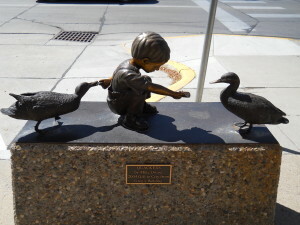 AVA is also supported in part by a grant from the Wyoming Arts Council, through funding from the Wyoming State Legislature and the National Endowment for the Arts. 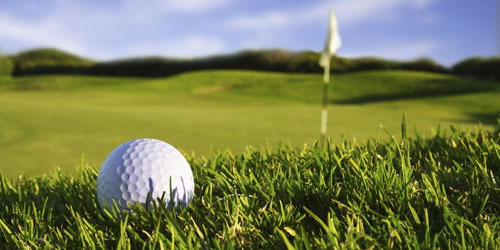 If Golf is your activity of choice there are two courses in Gillette. Bell Nob is an 18 hole course with a 9 hole par 3 walking course. There is a local Gillette Country Club with a 9 hole course that provides a great afternoon of golf. A short drive to the west is the nationally renowned Powderhorn Golf Course in Sheridan. An equally short drive to the east is the Devils Tower Golf Course in Hulett Wyoming. The 18-hole "Bell Nob" course at the Bell Nob Golf Course facility in Gillette, Wyoming features 7,024 yards of golf from the longest tees for a par of 72 . The course rating is 70.8 and it has a slope rating of 119 on Blue grass. Bell Nob golf course opened in 1981. A very fun place to play. Challenging course but very fair with varying hole shapes. The wildlife is nice addition to the course. There are no water hazards on the course but a lot of sand bunkers to negotiate around. In a glorious valley looking towards the Big Horn Mountains, The Powder Horn in Sheridan, Wyoming is a vibrantly social golf club community. With a 27-hole golf course, swimming pool, tennis courts, walking trails and handsome clubhouse, it’s an ideal place to move right into a luxurious home, or bring your own vision to life. 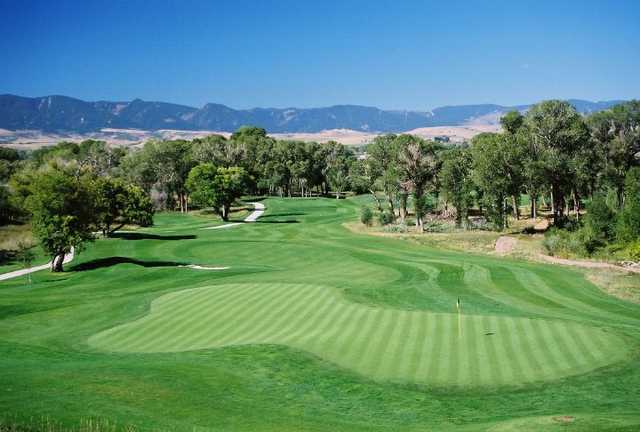 Combining the advantages of small town living with beautiful views, fresh air, low taxes and the #1 golf course in the state, The Powder Horn and Wyoming are consistently named as among of the best places in America to retire. There’s no better way to immerse yourself in our unique brand of hospitality than to spend some time here on the course, courts and enjoying the clubhouse. We’ve made it as fun as it is inviting so you can discover The Powder Horn at your own pace. Each package includes an introduction to our community, amenities and real estate. Please reserve your place now, while availability is best. Hay Creek Golf Club is the place to go for golf, food and outdoor recreation in beautiful Wright Wyoming. Situated on the Thunder Basin National Grasslands in northeastern Wyoming, Hay Creek Golf Club opened in 1991. Our course has a fun and challenging Links style 9-hole layout that will bring satisfaction to every player. Hay Creek will challenge even the most skilled player to provide a great golf experience. This course is the perfect place for beginners and family members to enjoy themselves. You will love the rolling terrain, wide open spaces, fully-equipped Pro shop, knowledgeable staff and comfortable amenities. Here at Hay Creek Golf Club we have everything you need to provide a truly unforgettable round of golf. 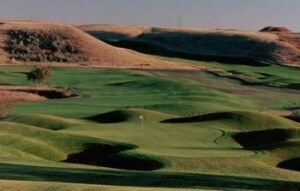 The 9-hole "Gillette 1" course at the Gillette Golf Club facility in Gillette, Wyoming features all the hallmarks of Wyoming golf. Gillette 1 golf course opened in 1969. Located in Hulett, Wyoming, eight miles from our nations first National Monument, The Golf Club at Devils Tower is renowned throughout the region. Known for its scenic beauty, awesome changes in elevations, lush fairways, and smooth putting greens, the golf course presents a challenge of skill and strategy. Recognized as one of America’s Top Facilities by the National Golf Foundation and in 2007, honored as Golf Digest's "Best New Courses", guests find themselves met with all the challenges of a world class course. Designed by Richard M. Phelps, ASGCA, the Club is an 18-hole, par 72 course spread over approximately 150 acres. Numerous trees surround the grounds, with fairways that feature slight undulations. Water comes into play on five holes, and two require a tee shot over water. The Club House and Pro Shop overlook the course and offer premier services. 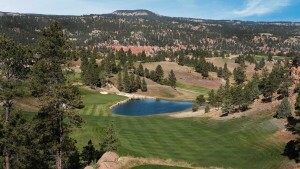 The Golf Club at Devils Tower provides all of the amenities for an outstanding stay. Guests at our Club Restaurant and Grill enjoy a full service restaurant featuring regional cuisine and indoor/outdoor seating. 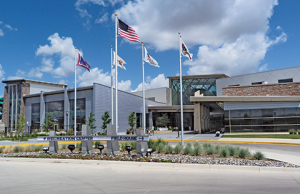 The Club is an excellent Wyoming destination for both leisure and corporate gatherings. Home to national treasures, rich history, and world class recreation, you’ll soon realize why members and guests have chosen The Golf Club at Devils Tower since 1994. This multi-events facility hosts more than 400 events attended by over 350,000 people annually. This complex sits on 1,100 acres and has the versatility to accommodate every occasion. Since opening its doors in 1985, CAM-PLEX has proudly hosted national events from the National High School Finals Rodeo to Pyrotechnic Guild International (a week long fireworks competition) to RV and Motorcycle Rallies. 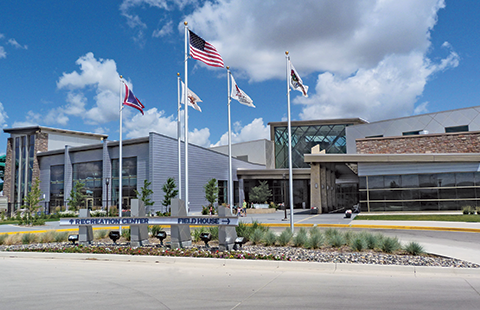 This full-service convention, exhibition and performing arts center is also a proud part of the community as young and old attend events that range from school programs to banquets to equestrian events to trade shows and much, much more.